I've done quite a bit of travelling this year, albeit still not as much as I would like as I am well and truly suffering from the travelbug and it doesn't look like it is going away any time soon! I do get a lot of questions however, from friends and family about how on earth I am able to afford such big adventures and where I seem to find all my bargain flights and accommodation from! 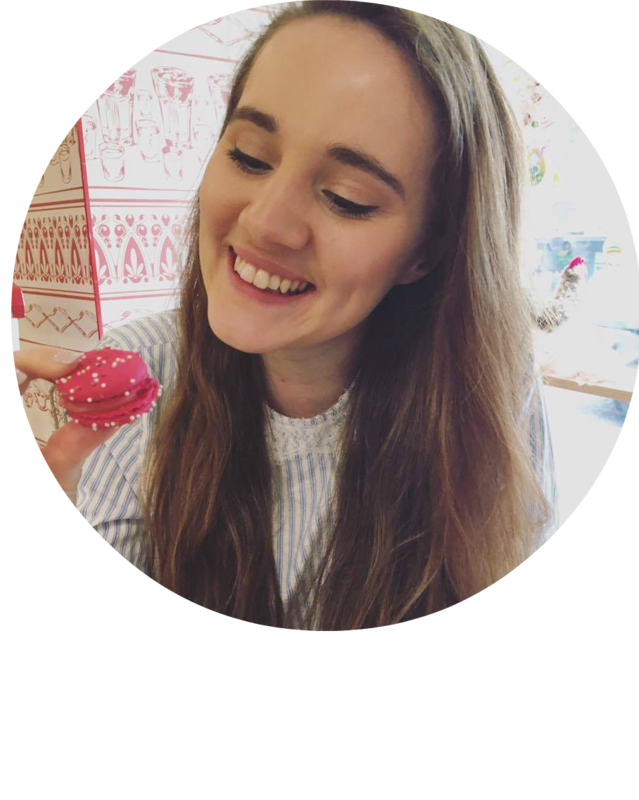 I've written quite a few travel based posts, such as my tips for travelling on a budget post and I've also talked about my experience with airbnb back in February and have actually used it quite a bit more since then. However today I thought I would talk a little more about how I actually go about finding the accommodation and tips and things to look out for when searching! It's a pretty common misconception that flights are going to be the most expensive part of your trip, however I have definitely found that accommodation can absolutely skyrocket if you are not careful! Check accommodation before you book your flights! This might seem a bit excessive, but if you are getting your flights for a great price, you really don't want to be forking out hundreds and hundreds of pounds for your accommodation. Check the tourism websites for your destination to make sure that there isn't a big event on or something else which would greatly influence the prices of accommodation, you never know, it might just be that cities biggest book fair or a big concert is on which could increase prices. We would all love luxurious accommodation when we are travelling but let's face it, not gonna happen. Set a budget and be really strict with yourself. If you are stuck choosing between properties with a massive price difference, just think what is important to you on this holiday. Are you going to spend a huge amount of time in the accommodation? If so, you'll probably want something a little more comfortable than a dorm bed in a hostel. For me, my accommodation really does depend on who I am travelling with and what the purpose of the holiday is. If you are travelling in a group, pick a budget that everyone is comfortable with and make sure you are all aware of it before you start searching. Hotels and bed and breakfasts can often charge you extra if you want breakfast in the morning, that much is obvious. However this can be anything from a couple of extra pounds to crazy amounts (like ten pounds for a continental offering eh???!?) I tend not to add breakfast on if it is an option as not only does it save money, it gives you a chance to try out local shops and cafes which can often end up being cheaper. For me personally, the location is probably the number one thing I consider when booking accommodation. Do you want to be central? If not, is there a pubic transport stop nearby? Check the ticket prices of travel into the main sites or wherever you need to be before otherwise it can end up being more expensive to travel in than just booking somewhere in the centre! Check with the transport provider if they do day tickets or what is covered under a weekly ticket as most big cities tend to do them and it can save you a lot of money! It also couldn't hurt to have a close look at the specific area, check how far away the nearest Supermarket is and if you are close to any banks. All these things that might not seem too important before can be essential if you find yourself stuck for anything. Now obviously, every review has to be taken with a pinch of salt, but other travellers reviews are invaluable! They might point out a quirk that the description hadn't mentioned, or maybe advised to ask for a room on a certain floor due to noise, whatever is being said it is important to take note. Obviously there will be reviews which you can disregard straight away as some people really do just love a moan, but if the same thing is cropping up again and again it is obviously for a reason. I've read reviews complaining of the noise and thought, nah not that bad I can handle it and spent the whole night lying awake listening to the sound of trains. You know yourself, if you are a light sleeper or like to have a certain kind of layout or whatever then don't disregard what others have said about a place! So where do I find accommodation? If I am looking for accommodation, one of the first places I'll check is booking.com as I think they generally have a great range of hotels to apartments and more. If my budget is something I have to be conscious of (which it almost always is) I will always look to see what airbnb's are available. For my trip to Copenhagen in August I've booked an airbnb and it's probably what I book through most often. The range of properties available and the prices just make it the best option for me personally. However it is really important to check if there is a security deposit you have to pay, I've seen some with a crazy 500 euro plus deposit that I personally have steered clear of. I've also stayed in a few hostels recently, which I have found on hostelworld.com or hostelbookers.com. I normally use these sites as a sort of search engine, and when I have found properties I like I will try and find their websites, as booking directly with the hostel can sometimes save you money! Hopefully you've picked up a couple of tips for sourcing accommodation that stick with you next time you travel! 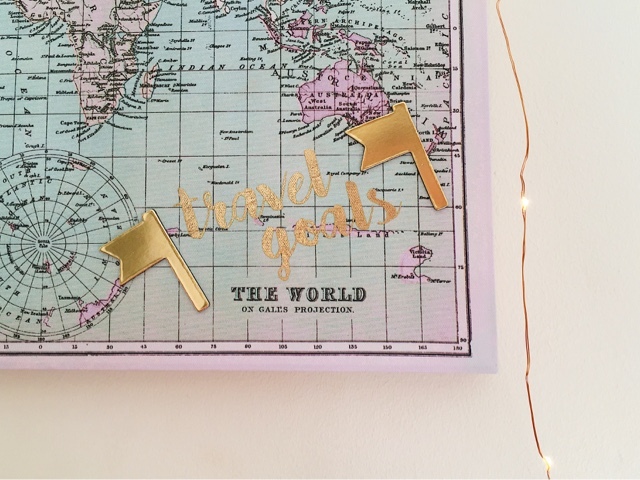 I also am totally in love with the pink world map memo board in the photo which I picked up recently in New Look. They have some excellent travel themed homeware at the moment. I'm trying to fill my room with as many little travel bits as possible to keep inspiration and wanderlust flowing. If you have any more tips for booking accommodation then please leave them in the comments because I'm always trying to plan trips and save money so would love to read them! I always look at booking to know if they are having any good deals and I then compare it with Airbnb to know what is the best for me ! I think the location is a very important point, when we went to London with my friend we were so lucky to be very central and have the tub for so much cheaper ! Good tips! Especially the first one- I never think to check out accommodation in too much depth when an attractive flight deal comes up. Some great tips here, I'd love to travel more too- if only it wasn't so expensive haha! These are some great tips, Location and reading reviews are always our top tips!